Recent IT labor market analysis from CEB reveals that "IT project manager" is the most difficult-to-fill IT role globally. This comes as no surprise to IT and project management leaders who have consistently struggled to find the right talent to oversee their most critical projects and programs. As organizations strive to digitize, the challenge of finding skilled IT project managers will only increase. The type of work that supports the typical organization’s digitization ambitions—rapid, often iterative, and typically involving new technologies or processes—is the type of work that the average, process-focused project manager isn’t well equipped to handle. These "process-crats," who rely almost exclusively on their knowledge of the standard project management process to navigate project delivery, struggle when confronted by multiple scope changes, when asked to move into a new area of the business or work with a new technology, or when required to step into the scrum master role in an agile project (something that happens at 38 percent of organizations currently). So, what type of project manager is best suited for the dynamic digital environment where priorities, scope and urgency are all constantly in flux? CEB research shows that the project managers who possess seven critical Entrepreneurial skills (see figure below) deliver nearly twice the project business outcomes as their low-performing peers and are able to adapt to digitization-driven volatility much more effectively. But these project managers aren’t easy to find. The number of what we call Entrepreneurs—or project managers who are proficient in all seven Entrepreneurial skills—has remained relatively constant across the past five years, hovering between 23 and 30 percent of all project managers. And IT organizations face stiff competition finding them—not only from IT groups at other companies, but from other functions within their own organization as finance, legal, procurement and HR all look for staff with similar skills. 1. Recalibrating their hiring approach to attract and test for Entrepreneurial skills, not just certifications and process knowledge. While certification isn’t a significant differentiator in a project manager’s ability to regularly deliver project business outcomes, most project management job postings still focus heavily on required certifications and process knowledge. This sends a very clear message that the organization values process adherence over the ability to get work done, and it discourages potential applicants who might have the right mix of skills but lack formal certification. Leading IT organizations are redesigning their job descriptions to focus on the things that attract Entrepreneurs, such as emphasizing opportunities for leadership, enterprise-wide perspective and strategic impact, while making more process-oriented responsibilities secondary. Similarly, they are redesigning their interview guides to test Entrepreneurial potential instead of simply reviewing credentials and familiarity with process. 2. Targeting skills development investment where it will have the highest return. 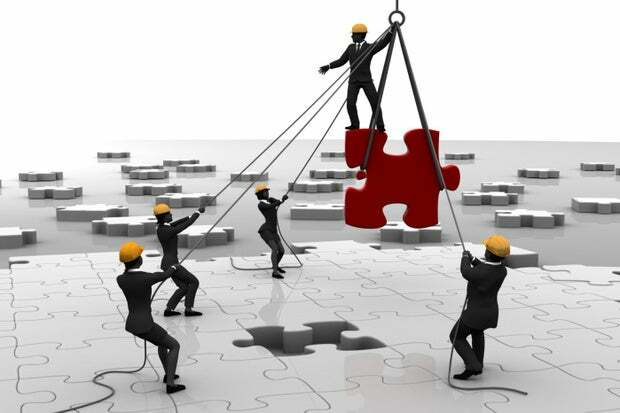 Most organizations spread development to all project managers in equal measure. But expending the same level of development effort for every project manager doesn’t generate the greatest return. Leading IT organizations use two rules of thumb to target project manager development effort. Unless IT changes the way it sources, develops and supports project managers, it will put the organization’s digitization ambitions at risk. First, they focus on early-tenure project managers. CEB's research shows that Entrepreneurs distinguish themselves relatively early: Only 18 percent of project managers with fewer than two years of experience are Entrepreneurs, but that number jumps to 30 percent between two and five years of tenure and then flattens out. Second, they target average performers. Organizations can generate the largest marginal return on their development investment by concentrating on project managers in the middle of the performance distribution rather than the lowest or highest performers. Nearly 90 percent of organizations we work with report that digitization is a current priority for their company, so IT leaders will face increasing pressure to find and build the project management talent necessary to steer critical digital projects. Unless IT changes the way it sources, develops and supports project managers, it will put the organization’s digitization ambitions at risk. Matt McWha has more than a decade of experience working with senior IT leaders to enhance their understanding of governance, project and portfolio management challenges. These include creating effective stakeholder and business partner relationships, identifying and measuring project business benefits, developing high-performing project and program managers and supporting organizations' shifting needs.